When I first moved to Italy I noticed that supermarket shelves offered a variety of muesli options, but none of them had granola. If you don’t know the difference, muesli is granola’s European hippy cousin, it’s a mixture of oats, seeds and nuts, it’s raw, oil free, and refined sugar free (if the dried fruit is naturally sweetened). It’s also easy to come by in most hotel breakfast buffets, so unless the hotel is fabulous enough to make me porridge, muesli is usually my go to breakfast when we’re traveling along side rice or soy milk and some fresh fruit. While muesli is all the rage here, many Europeans have no idea what granola is. When I asked hubby about it he said “what’s that?” and the only way I could think to explain it was to say it’s like muesli, but it’s baked and sweetened. Then he tried it and his reaction was “yummy”, which confirmed my feelings that nothing beats the crunch that granola offers even when drenched in milk. All of that said, store bought granola usually contains high oil and sugar content (often refined) making it a less healthy alternative to it’s European cousin. Unless you make it at home of course and load it up with superfoods. It makes a terrific breakfast in and of itself topped with milk, adds a crunchy texture to smoothies and porridge, and makes a great snack straight out of the jar. Here I used both buckwheat groats and rolled buckwheat flakes, rolled oats, hazelnuts and chia seeds and flavored everything up with hazelnut butter, cinnamon, vanilla and maple syrup. 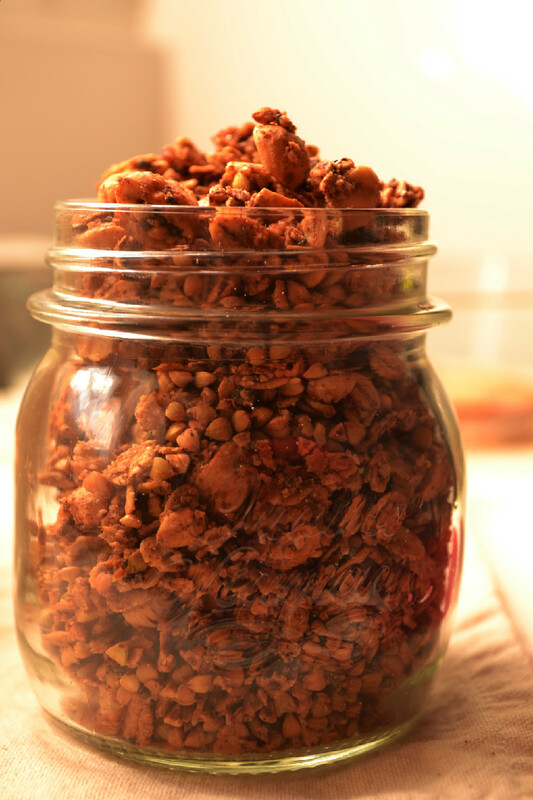 The result is a highly nutritious and very lightly sweetened granola, with a lot of flavour and crunch. The granola itself is oil free, but I did brush the baking sheet with coconut oil to prevent sticking on this occasion because I had run out of parchment paper. Oil can be avoided all together by using parchment paper without affecting the final result. I’ve tried it both ways and its equally delicious on both counts. I combined it with homemade vanilla hemp milk and oven roasted maple spiced pears for an extra special breakfast treat that you can feel good about. This was my first time making homemade hemp milk and I was really pleased with the results. It was creamy and full of body. 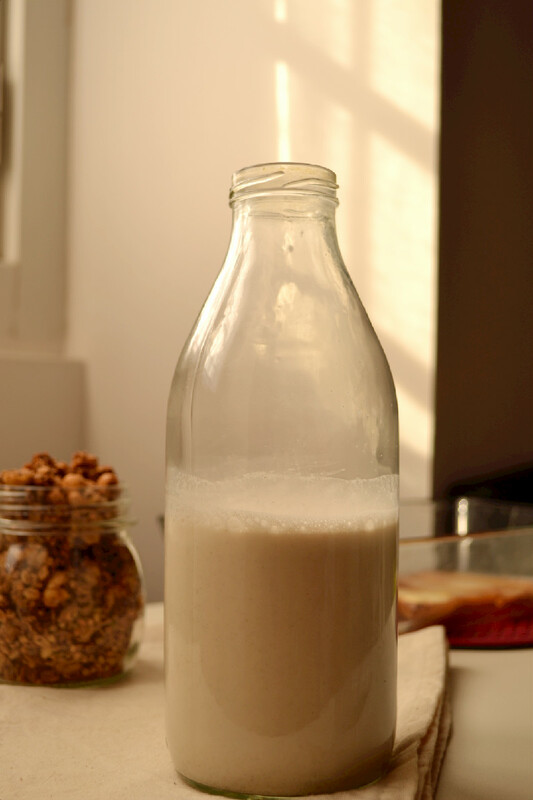 Unlike many nuts, hulled hemp seeds don’t need to be soaked before they are blended into milk. They are soft and breakdown easily and don’t contain phytic acid like other nuts. They are loaded with goodness and contain all 9 essential amino acids which means they are a complete plant based protein source. I’ve provided the three recipes below in separate recipe cards so that you can make one, two or all three. Eat them together or separately, it’s up to you. 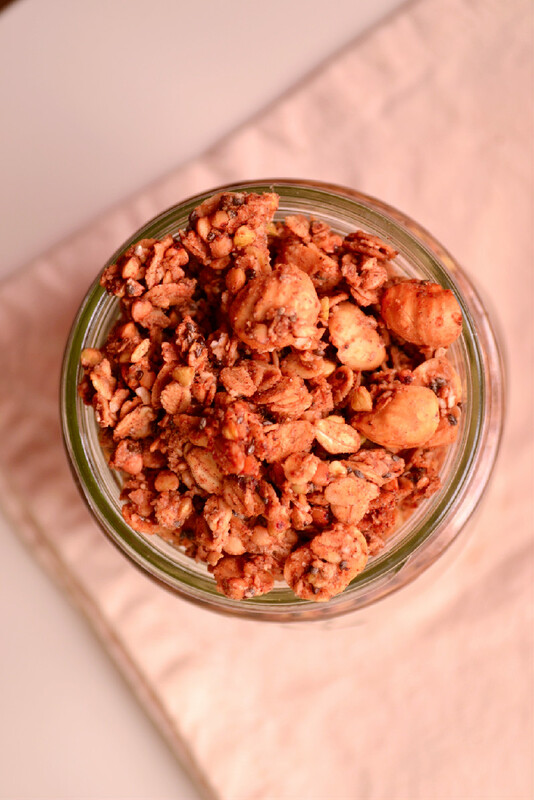 This healthy take on granola is refined sugar free and low on/or free of oil. With the goodness of buckwheat, oats and chia seeds, it makes a great stand alone breakfast topped with your favourite milk, or sprinkled on anything from smoothies, to porridge and even ice cream. Combine all ingredients in a bowl and stir together until well combined. Spread onto a cookie sheet, either lined with parchment paper or lightly brushed with coconut oil. Press the mixture together firmly, to create a thin but compact block. Bake for 15 minutes, them remove from oven, flip it over and bake for an additional 5 minutes. You will need to break it up into large pieces to make flipping easier. Remove from the oven and stir it up, breaking the pieces into clusters in the process and return to oven for an additional 5 minutes. Remove from oven, let cool and store in a an airtight container or jar. Serve with your favourite milk, sprinkled over smoothies, porridge or ice cream, or straight out of the jar as a snack. It should keep for a while, but I have to say that mine has never lasted longer than 2 weeks, as I make it in small batches and we eat it all before that time has passed. Note: Bake time will vary by oven, so please keep an eye on it to make sure it doesn’t burn. You’ll know it’s ready when it starts to brown and change colour and the room fills with a fragrant smell. This delicious plant based milk is whipped up in seconds, using hulled hemp seeds, without the need for soaking. It’s smooth, creamy, and loaded with all 9 essential amino acids making it a complete protein source. Add all ingredients to a blender and blend on high speed for a couple of minutes. Keep refrigerated and consume within 3-4 days. Note: I didn’t strain it through a nut milk bag because I wanted to lock in all the goodness, so it separates quite a bit, you can see it in action in the image above, you just have to give it a good shake before pouring it. 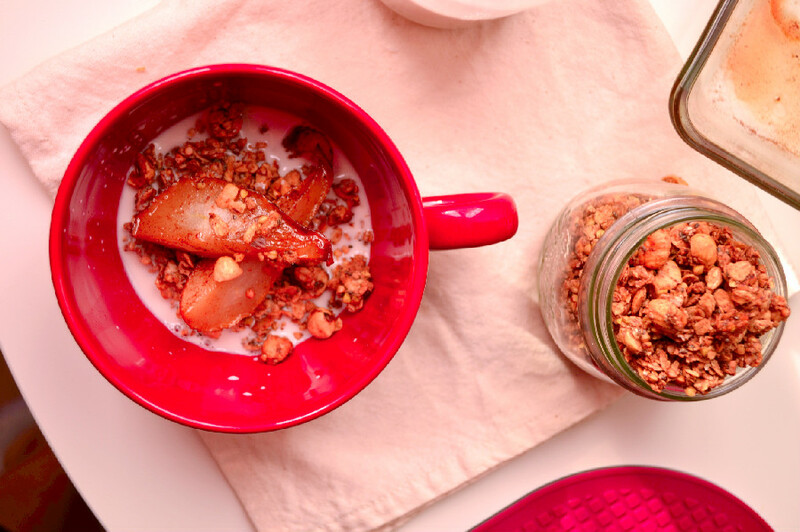 These pears are oven roasted with the delicious flavours of pure maple syrup, cinnamon and nutmeg and are a perfect topping for porridge, granola, cake and/or ice cream. 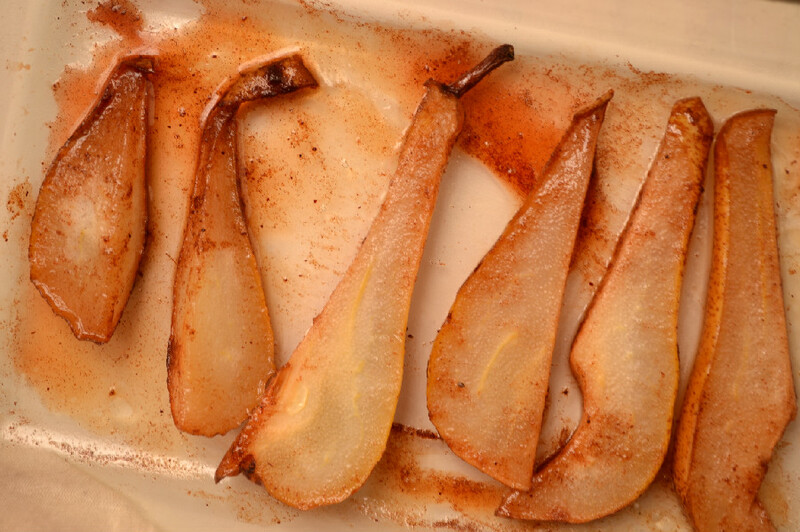 Toss all ingredients together in an oven safe dish then bake in a pre-heated oven on 180 C for about 30 minutes, until pears are slightly caramalized around the edges. Serve warm over granola, porridge, or french vanilla ice cream.